Imagine the warmth and comfort of the golden sun on a gorgeous 80° day. While wading waist deep in clear blue water, colorful fish weave around your legs. Nearby, your sweetheart rests in a comfy cabana chair, soothed by the sounds of the surf. Does lingering on a beautiful beach sound like a little slice of heaven? That dreamy setting is just a glimpse of what you can expect with an assignment to the island of Guam. This archipelago in the Western Pacific Ocean is just 32 miles long and 8 miles wide. Part of the Mariana Islands and the largest island in Micronesia, this United States territory is home to Andersen Air Force Base and Naval Base Guam. To reach Guam, a flight from Japan, Taiwan, or Manila takes about 3-4 hours, while a flight from Hawaii takes about 7 hours. 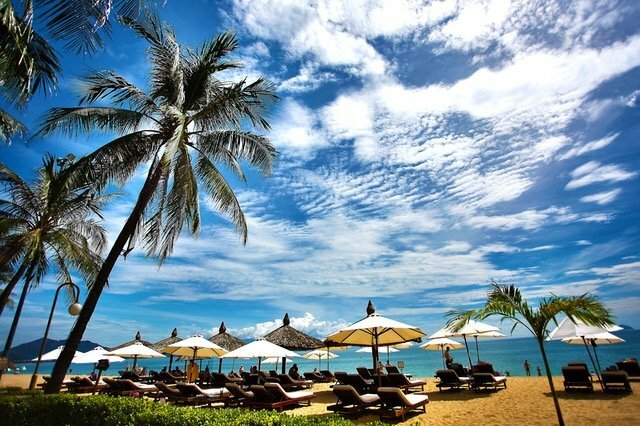 Upon arrival, the tropical climate, dazzling water, and resort style accommodations will offer a warm welcome. Sail along the sparkling waters with me as we discover why “life is good” with PCS orders to Guam! From duty-free shopping and gourmet dining to beautiful beaches and verdant jungle, with a visit to the vibrant city of Tumon you’ll quickly learn it’s a magnet for Guam tourists. Travelers flock to this “Paris of the Pacific” where they indulge in high-rise hotels and hunt for bargains while shopping. When you’ve had your fill of this colorful city, travel about 14 miles northeast from Tumon Bay to reach Guam National Wildlife Refuge and Andersen Air Force Base. To give you an idea of what to look forward to with your Guam assignment, I’ve collected a few responses from military friends previously stationed at Andersen AFB. When looking for a getaway, frequent the Air Force Information Tickets & Travel (ITT) office for vacation packages. Maybe you’d like to explore Australia, Hong Kong, South Korea, or Taiwan? For tips on how to make the most of whatever expedition you choose, peruse MilitaryByOwner’s FREE travel ebook. Temperatures range from the low 70’s to the mid 80’s nearly every day. With steady sunshine, an avid runner will enjoy logging miles in such pleasing weather. What better place to achieve your personal best than while stationed on a tropical island? Reach your fitness goals while at this unique location. If you’re a fan of outdoor adventures, Guam offers “boonie stomp” hiking experiences in the lush jungle! Happy hikers can set off on trails to discover caves, waterfalls, and hidden beaches. An Instagram search for Pagat Caves, Haputo Beach, or Talofofo Falls will stir visions of Shangri-La and entice you to lace up your sturdy shoes for an adventure. If your military orders are to Naval Base Guam, trek around 14 miles southwest from the crowds of tourists at Tumon Bay to find the Orote Ecological Reserve Area and the Navy installation. Following are some reviews from those who’ve experienced Naval Base Guam. “Guam is a great place to learn to snorkel or to become dive certified.” The Apra Harbor protects Gab Gab Beach from large waves coming in, making the calm waters an ideal place to snorkel and explore. Different varieties of brilliantly colored fish put on quite a show as they dart around in the crystal clear sea. “Happily surprised to find the NEX at Guam was a well-stocked department store.” Often easier to navigate than the tourist-packed stores of Tumon, you can custom order any specific items you’ve been missing from the mainland. With special shopping events, like Black Friday, keep “spoiler alerts” in mind since Guam is around 14 hours ahead of the U. S. Eastern Time Zone. “We had a lot of fun gathering with fellow military families while stationed on Guam.” Additionally, the local islanders have a very friendly and open vibe. With the cheery greeting Hafa Adai, kick off your “zories” or "slippers" (flip flops or sandals). If you're invited, take advantage of the offer and attend one of the many festivals that regularly occur in the villages. Meet your neighbors and sample flavorful Chamorro cuisine such as barbecue, lumpia, kelaguen, and rice dishes. You’ll soon feel right at home at this exotic destination. If a PCS to warm and sunny Guam is on the horizon for you, be sure to research ahead of time. Do a little homework on the area with reviews from sites like Military Town Advisor and The Guam Guide. Learn how to prepare for an earthquake or typhoon. Encourage extended family and friends to come for a visit! As this MilitaryByOwner post, PCS Island Style! explains, “Whether it’s a village fiesta or trying out new foods, the experience is so enriching.” Embrace the laid-back island vibe, savor the stunning sunsets, and make the most of your time in tropical paradise with an assignment to Guam. Are you a homeowner or property manager in Guam? 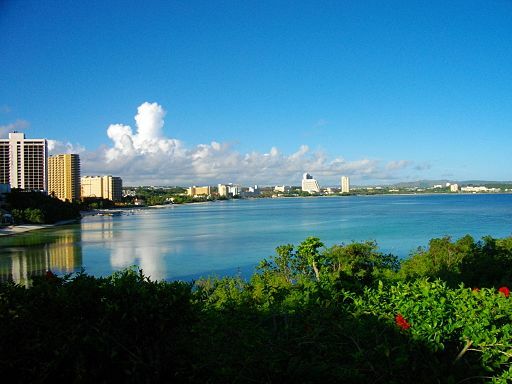 Contact MilitaryByOwner for a Guam promotion code for your listing!